With so many style options, custom corporate apparel can do a lot to build your company image. Personalized hats and caps remain one of the largest and most popular genres of promotional corporate apparel. IASpromotes.com knows there is a big difference between what a beanie, a visor, or a bucket hat says about your company. So whatever you're corporate idea is, call, email, or live chat with one of our skilled merchandise professionals, and we'll help you find the logoed headwear that matches your company. Printed or embroidered corporate headwear can also serve a range of functions. Hosting a tradeshow for construction workers? Let us screen-print some hard hats. Or maybe the tradeshow is for cooks? Embroidered chef's hats ought to do the trick. Maybe your team made it to the Rose Bowl this year, or maybe your want to celebrate a certain holiday in style; either way, IASpromotes.com stocks novelty hats that will match your occasion. Order with us and you could be handing your specialty hats out as promotional giveaways in just a few days! In Empire State of Mind, Jay-Z claims he "made the Yankee hat more famous than a Yankee can." 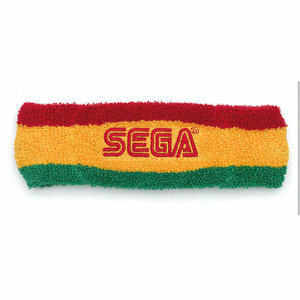 Now, that's powerful advertising merchandise! And he's not joking! Promotional hats give your customers the ability to make your brand famous. So check out the huge selection of specialty promotional hats and caps on IASpromotes.com, and let your clients' do the all the advertising work for your company. Because logoed promo hats really can take your brand from well known to famous! The jury's returned from deliberation and the verdict is in, perhaps more than with any other promotional item, people just love to where specialty advertising headwear. Nothing feels quite as good as slipping on your favorite hat, emblazoned with your favorite company's logo. 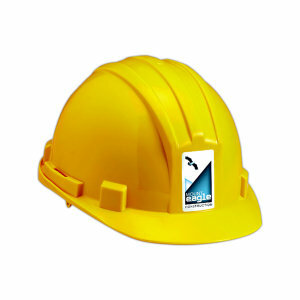 Our adoration of customized promo hats is what makes them such a smart advertising investment. Whatever your next marketing campaign or corporate giveaway, custom promotional hats are always sure to be a favorite. We form a special bond with hats, and that bond increases our love for the company that made the hat. Now that's dream advertising, my friends. No matter your clientele, IASpromotes.com is sure to stock the promotional hat they've been looking for all their lives. The promotional hat you distribute says a lot about your company and your clients, but with so many choices on IASpromotes.com, you're sure to find the one that says just what you want it to say. Whether that's the hipness of logoed Trucker Hats, the casualness of Unstructured Hats, the classic style of customized Baseball Caps, or the athletic nature of personalized headbands, IASpromotoes.com can print or embroider your logo onto the style of hat that says the right thing about your company's style. We love hats that go along with traditions, so depending on the time of year, consider handing out themed logoed hats for your next promotional giveaway. Whether that be custom Santa hats, a promo glittered New Years' hats, or logoed sports hats. How about a Patriotic top hat or a personalized Mardi Gras hat? Browse through or Novelty Caps to find the specialty advertising hat or cap you're looking for. No matter what the celebration, IASpromotes.com will help show the spirit of your company be helping you pick out the right hat for the right time of year. If you don't see what you're looking for, just call or email one of our merchandise professionals, and we'll help find the hat that celebrates in the perfect way.